Theatres of Paris from the late 1700s to early 1800s were extremely popular, always open, and constantly full of patrons. Supposedly, they were also considered the “idol of Parisians,” but at the time, there were not more than about twenty theatres that provided public recreation for the French masses. Parisian theatres were also known to cater to military men. The guard could be seen at the Opera, and the Theatre Française was always full of soldiers, partly because it was supposedly the favorite of the famous General Napoleon who then became First Consul and later Emperor. It is well known that Napoleon loved the theatre. In fact, between the period of the Consulate and the Empire, he attended over 370 plays and saw the tragedy Cinna ou la Clémence d’Auguste written by Pierre Corneille twelve times. However, despite his love for the theatre, Napoleon saw it as a political tool that he could wield and therefore decided to limit the number of theatres with a decree that was passed on 8 June 1806 limiting Parisian theatres to twelve. In 1807, he made another decree and reduced the number to eight. Four of these were considered grand theatres and four secondary theatres. In addition, each theatre was also restricted to performing a specific repertoire. Among the theatres that remained opened after Napoleon’s decrees are five worth mentioning. They are the Théâtre Comédie-Française, Odéon-Théâtre de l’Europe, Théâtre de l’Opéra, Théâtre des Variétés, and Théâtre du Vaudeville. Théâtre Comédie-Française: It began as a state theatre with its own troupe of actors and was founded on 8 August 1680 by Louis XIV when he issued a decree merging the only two Parisian acting troupes into one. The theatre and its troupe moved several times: In 1689, it was established across from the café Procope; from 1770 to 1782, it held performances at the theatre in the royal palace of the Tuileries; and since 1799 it has been located at the Salle Richelieu at 2 rue de Richelieu. Just after the start of the French Revolution, on 4 November 1789, Joseph Chénier’s anti-monarchical play Charles IX was performed with the young Tragedian actor François Joseph Talma in the role as King Charles IX of France. Violent political debates then ensued among the performers and ultimately the troupe split into two groups, the Republicans and the royalists. In 1793, the Convention decided to control what was seen on stage. For instance, companies were forced to perform Brutus, Gaius Gracchus, William Tell, or a similar type pieces three times a week in order “to maintain in the hearts of Frenchmen the love of liberty and republicanism.” One of these required plays was also to be acted at the expense of the Republic, and every theatre that dared to show a play that tended to revive royalty feeling was punished. It was “shut up” and its managements appropriately dealt with according to the law. Théâtre Comédie-Française late 18th century. Courtesy of Wikipedia. The actors were gradually released from prison, and, on 31 May 1799, the new government made the Salle Richelieu available and allowed the actors to reconstitute their troupe. In addition, after Napoleon’s decree this theatre was reserved for tragedies and comedies. Odéon-Théâtre de l’Europe: This theatre was built between 1779 and 1782 and inaugurated by Marie-Antoinette on 9 April 1782. It was placed in the garden of the former Hôtel de Condé and originally intended to house the Comédie Française, but they preferred to stay at the Théâtre-Français in the Palais Royal. Reconstruction of the theater in 1808 was designed by Jean Chalgrin, the same architect of the Arc de Triomphe, and it was then officially called the Théâtre de l’Impératrice, but everyone continued to call it the Odéon, which burned in 1818. The Odéon is known for premiering The Marriage of Figaro, a comedy in five acts, written by Pierre Beaumarchais. However, it was initially accepted for production by the Comédie Française in 1781. The official censor approved the text with minor changes, but at a private reading before the French court, the play so shocked King Louis XVI that he forbade its public presentation. Beaumarchais then revised the text and moved the action from France to Spain. After further scrutiny by the censor the piece was played in September of 1783 to an audience that included members of the Royal Family, and although the censor still refused to license it as a public performance, the king personally authorized its production. It then opened at the Odéon on 27 April 1784 under the title of La Folle Journée, ou Le Mariage de Figaro. It was so popular it ran for 68 consecutive performances, earning higher box-office receipts than any other French play of the eighteenth century. Its popularity also resulted in it being translated into English by Thomas Holcroft, and under the title of The Follies of a Day – Or The Marriage of Figaro it was produced at the Theatre Royal, Covent Garden in London in late 1784. Scene from the 1784 La Folle Journée, ou Le Mariage de Figaro by Pierre Beaumarchais. Courtesy of Bibliothèque nationale de France. Théâtre de l’Opéra: It served as the primary opera and ballet company for France after it was founded in 1669 by Louis XIV as the Académie d’Opéra. Soon after its establishment, it was placed under the leadership of Jean-Baptiste Lully and renamed the Académie Royale de Musique, although it continued to be known as the Opéra. After the French Revolution broke out and into the early 1800s, it underwent several more name changes with one being the Académie Royale de Musique, before being named in 1816 the Académie des Beaux-Arts. In 1821, the company moved to the Salle Le Peletier, which had a capacity to hold 1900 spectators and where it remained until the building was destroyed by fire in 1873. Théâtre de l’Opéra to from 1794–1820. Courtesy of Wikipedia. Théâtre des Variétés: This theatre owes its creation to theatre director Mademoiselle Montansier (Marguerite Brunet) who also took over the Théâtre du Palais-Royal in 1790. She was imprisoned for debts in 1803 and became unpopular with the government. 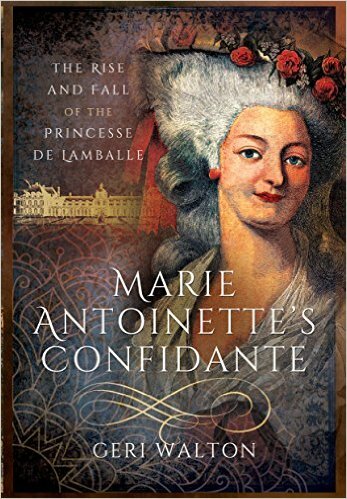 She faced more problems when Napoleon’s decree of 1806 ordered her company to leave the Théâtre du Palais-Royal to make room for a company at the Théâtre-Français. Théâtre des Variétés published in 1829. Courtesy of Bibliothèque nationale de France. 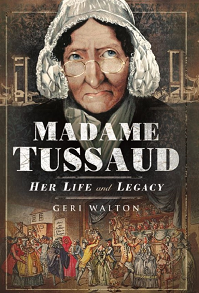 Seventy-seven-year-old Montansier was unhappy and obtained an audience with Napoleon. He then intervened and protected and enabled her to reunite the “Société des Cinq” that directed her troupe resulting in the founding of a new theatre. It is the one which now stands at the side of the passage des Panoramas and was inaugurated on 24 June 1807. “A serious disturbance took place a few evenings ago at the Théâtre des Variétés during the representation of a piece, entitled, Le Combat des Montagnes. M. Calicot the principal character in this comedy, is a whimsical caricature of a shopkeeper’s clerk, who wears imposing mustachios, apes the manners, follies, and vices of those ranks of life to which he is a total stranger, and occupies an equivocal place in every class, without, in reality, belonging to any. This piece of well-directed satire roused the indignation of clerks of certain warehouses in Paris, who thought they could recognize their own characters in that of M. Calicot. They accordingly resolved to resent the insult that was offered to them. A plan of campaign was agreed upon, and the Théâtre des Variétés was to be taken by storm. Théâtre du Vaudeville: Vaudeville was a theatrical genre of variety entertainment that was born in France at the end of the 1700s. It was a comedy without psychological or moral intentions and based on comical situations that were originally a type of dramatic composition or light poetry, usually a comedy, interspersed with songs or ballets. Vaudeville would go on to became extremely popular in the United States and Canada in the early 1880s, but the idea of it changed radically from its French antecedent. Scene from the Théâtre du Vaudeville in 1830. Courtesy of Bibliothèque nationale de France. After the revolution, all the Parisian theatres also operated using a “code of laws.” These rules were visibly displayed and used to maintain orde, but aoparently that did not always happen as noted by the riots mentioned above. However, one rule that patrons were supposed to observe involved theatre boxes that were let. A board was hung with the words “Loge loué” written on it. Those words indicated the box was private and only accessible to those who had rented it. “The gratification of an audience must be in proportion to its discrimination. Judgment, is by no means wanting in a Parisian audience. I may perhaps be necessary to state the grounds of this observation. The principal Theatres expressly profess the cultivation solely of one branch of the Scenic Art: consequently each has a greater chance of arriving at perfection. The particular province of each individual Theatre, being clearly ascertained, the general bill of fare is at once unequivocal. The public, therefore, having the choice, will naturally prefer the particular species of performance best adapted to their taste and understanding. Theatre attendees in the 18th century. Courtesy of Wikipedia. Today, all the theatres mentioned remain open in some form or another but the rules that patrons of the late 1700 and early 1800s observed are likely no longer in force. For instance, none of them require a gentleman to wear a suit coat. There are also not just eight theatres. Instead there are about 140 theatres or venues that offer entertainment ranging from stage productions and historical reconstructions to musicals and much more. Moreover, there are still productions performing Beaumarchais’ famous La Folle Journée, ou Le Mariage de Figaro that was so popular when it first opened in 1784. Of course Napoleon saw it as a political tool that he could wield; he treated everything as a tool he could use! But it was a bit surprising to see that he decided to limit the number of theatres via Imperial decrees in 1806 and 1807. I am guessing that the number of theatres was reduced and their repertoires were limited so that he could maintain close control of the theatrical world. For example, you note that Salle Richelieu could only put on comedies, so there would be no further risk of seditious political comment. I must say.. that the Parisian theatres operated using a code of laws seems overdoing it, doesn’t it?